UPSC Written Results NDA & NA Exam 2013 Results on upsc.gov.in. UPSC (Union Public Service Commission) has declared the written results of National Defense Academy NDA and Naval Academy NA Examination (II) 2013 held on 11 August, 2013 at various centers across the country and organized by union public service commission. 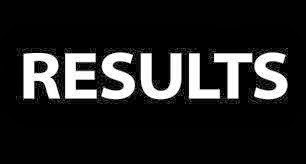 Finally the wait is over and candidates looking for NDA Results 2013 or NA Exam 2013 Results, can download their results online from the direct link given below. Commission has uploaded the document pdf containing the list of all the Roll numbers of the qualified candidates in the written examination. You can search your roll no. in the list of qualified candidates after downloading from the above link. If you’re not qualified or your roll no. is not present in the list then your mark-sheet will be available after 15 days. Read more below. All the roll no. given in the final list are selected and called for interview. Download link given above.